CopperCube 3D merupakan Software Editor untuk membuat adegan Gambar 3D yang interaktif yang hasilnya dapat dibuat dalam Format Flash swf atau WebGL dan juga dapat dibuat menjadi standalone Windows exe. Dengan Software ini anda tidak perlu memahami bahasa program satu baris kodepun dalam membuat model 3D atau model viewers, 3D walkthroughs, 360° panoramas, camera flights dan bahkan dalam membuat Full 3D Game. 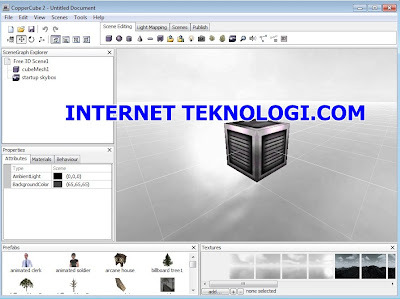 Software ini dapat mengimpor 17 format file 3D yang berbeda dan dilengkapi dengan generator lightmap yang intuitif dan editor 3D. CopperCube sangat bagus untuk membuat program 3D, visualisasi arsitektur, simulasi militer, configurators produk, games, e-learning dan prototipe aplikasi 3D. Fix several bug fixes and minor changes. as well as as Flash .swf or WebGL for your website. You'll find links to exporters for your 3d modelling application in the Coppercube Documentation. 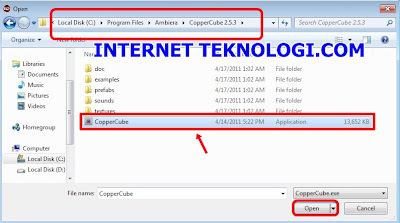 Want to create a Windows .exe or Mac OS X .app instead? Select 'Windows .exe' or 'Mac OS X .app' and click 'Publish'. That's it! 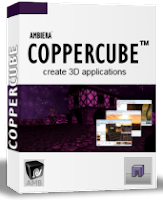 The CopperCube editor has a built-in lightmapper which can enhance the appearence of your 3D scene greatly. Just place a few lights and click 'calculate'. The lightmapper even features global illumination effects and is very simple to use. To make your 3D scenes even more interactive, you can utilize CopperCube's simple click-only event/action system or even scripts and and influence every aspect of the whole scene. 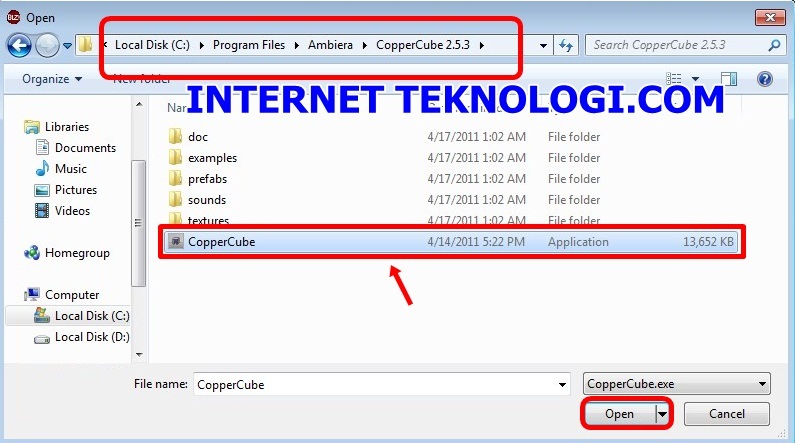 CopperCube has a built-in Event/Action system. You can easily define actions which should happen (like playing a sound, opening a website, showing an item etc.) when an event happens (like the user clicked on an item or reached a certain area). No programming needed here. When publishing as Windows .exe, you can use the Squirrel scripting language, a C, Java or PHP like scripting language. There is a full reference of all scripting functions and several tutorials and examples in the Coppercube Documentation. Wether you want to create simple 3D games or prototype your AAA title, CopperCube includes precreated game AI behaviors and actions, since CopperCube version 2. No need to program anything, just click your game characters and enemies together. You can access this engine using the SimpleAPI, providing access to most features in the 3d world. But if you even need more control over everything, you can buy the full ActionScript 3 source code of the Flash 3D engine with about half a MB of source code and more than 100 classes: simply contact us for this. DiSitusnya untuk mendapatkan yang Full Version anda harus membayar sebesar USD432.21 ,Nilai yang Sangat Besar. Tapi Di InternetTeknologi.Com anda akan mendapatkan secara Gratis. Extract, Install File bernama Setup sampai selesai,Jika sudah selesai Keluar dulu. 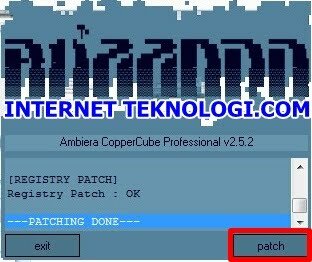 10 orang berkomentar on "Download CopperCube 3D Professional 2.5.3 Terbaru Full Version Rilisan 16 April 2011"
mas bro ane udah donlod ni software..
tapi koq patch'y gak ada ya..knapa tu?? udah ane download lagi lur..tapi ttep gk ada kok patch'y?? Gan,aplikasi ini bisa buat flash yang prinsipnya sama kayak "google earth" kagak??? Ada objek 3d (kalo di google earth objeknya bumi) terus bisa di,puter,dibalik-balik dan di zoom..
Gan kok patchnya dianggap virus ya sama Avast mohon bantuannya. 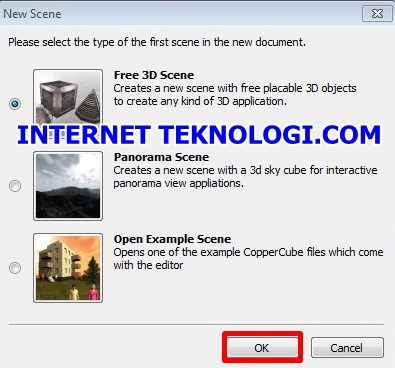 gan saya pake win 7 setiap mau bukak program slalu muncul seperti ini: problem initializing the 3D engine for this editor version you need direct 3D 8 or 9 installed on your PC. you might want to change the 3D engine setting for the next start up in the following dialog. tolng pencerahaannya..
@Anonim Direct 3D merupakan software yang dibutuhkan windows untuk memainkan game atau Aplikasi 3D.Silahkan Download Disini. Coba cek DirectX nya gan ,PC agan harus konek ke internet,Klik Start ketikkan dxdiag di Kotak Search,lalu enter,klik dxdiag ,lalu ok. Lihat Versi DirectXnya paling bawah pada tulisan DirectX Version.